OSD Audio’s SMP250 Mono Subwoofer Amp gives passive subwoofers up to 250 watts of power so you can experience all the crashes, crunches and car chases with spine-tingling exhilaration. Designed for use with higher wattage passive subwoofers such as in-wall subs that require external power, the SMP250 Mono Subwoofer provides stable power and enhances the low frequency sound effects. Moderately priced with high-end features, this sub amp includes a variable high cut filter that routes higher frequencies to main speakers so subs can concentrate on the low frequency sound effects they are designed to handle. The result is bass that does not sound muddy or overly thumpy but rather crisp and detailed. You’ll immediately feel and hear the difference. Other features include a back panel adjustable gain and volume control limiter to protect the woofers as well as low-level and high-level pass-through input/outputs to cover newer and old school sound systems. If you have a powered subwoofer, you don’t. 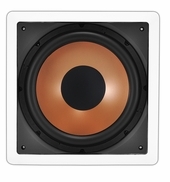 A powered subwoofer has its own internal amplifier which is why they are extremely heavy to lift. 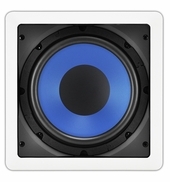 A passive subwoofer is simply a woofer or woofers in an enclosure that is designed to handle low frequencies but does not have an internal amplifier, which is why they are not heavy to lift. In-wall subs are most commonly passive. After all, it’s not so easy to install a 100-pound sub inside a wall. That’s where an amp like the SMP250 Mono Subwoofer Amp comes into play. This amp not only adds necessary power but the high-cut filter keeps low bass away from your surround speakers, which in turn gives you much cleaner highs and midrange. This subwoofer amp does much more than supply power. It also improves the overall sound quality of your entire surround sound system. What Is A Class A/B Amplifier? In home theater, Class A/B are the most common because they combine the efficiency of Class B with the sound quality of Class A amps. 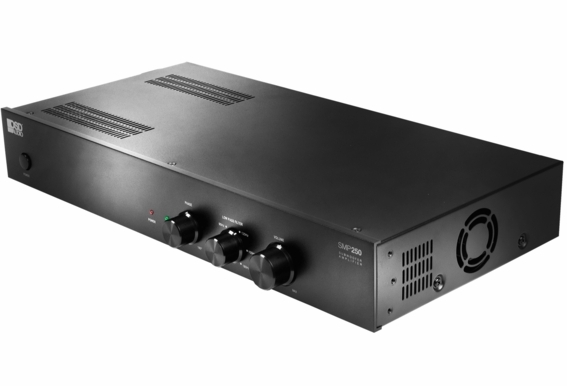 A Class A amplifier uses the input signal 100% of the time, which means that the output signal to your sub matches the input signal from your receiver. The result is virtually no clipping or distortion. Sounds perfect, right? The downside is that Class A amplifiers run very hot because the transistors are working all the time. 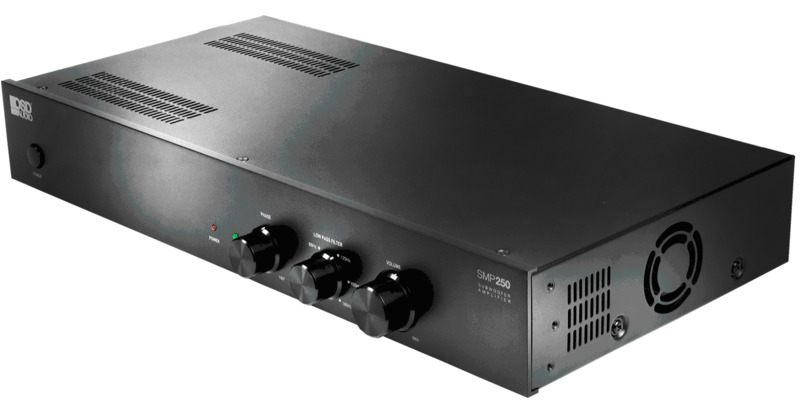 Class B amplifiers only amplify half of the input signal which creates some distortion but these amps are far more efficient than Class A amplifiers and run a lot cooler. A Class A/B amp combines the best of A and B, so distortion is lower yet efficiency is high so sound quality is truly maximized. Does this unit come with rack mount ears. Or can you buy them separately? I have this SMP250 amplifier but still need some subwoofers. I'm looking to add 2 8 ohm speakers in parallel. I read all the questions and I'm not too clear, can this handle 4 ohms? How can I hook up 2 subs to the SMP250 amp? One sub is an IWS-88 (in-wall) and the other is an SS-8. My receiver is a Sony STR-DH800. Thanks. Hello, I bought two of the IWS88 subwoofers for one in the front and one in the back of my room and the SMP250 Subwoofer Amp for my 7.2 surround sound system. Can I connect both subwoofers to the one amp or does each subwoofer need it's own amp? Also whats the best way to connect the Amp to my A/V Receiver? I have a Denon AVR-X2300W 7.2 receiver with two subwoofer pre-outs. Hi Tim: The SMP250 is limited to to an 8 ohm load so would only be able to drive a single IWS88 rated at 8 ohm. You might want to checkout the SAM300 on our OSD Audio Premium site (osdaudio.com) which is rated at 300 watts peak and 4 ohm stable so it can drive the 2 IWS88. Not only will it drive your 2 subs but it also has a bass boost circuit that is variable between 25 and 50 Hz where you select a point and you have the ability to add up to 12 dB of gain. There is no price on line so you will have to contact customer service for a special price. Very close to the SMP250 (about 15% higher). But you can have the one sub drive both speakers. If you still want more than you could add a second SAM300 and have a dedicated amp per driver. We are also adding two bigger sub amps a 500 and 100 watt beast. Stay tuned... look for more info in the next week on our site. Regarding your second question on connecting the Sub Amp to the DENON Receiver. You would connect a single sub woofer cable to output #1 to the LFE input on the SAM300. You have two options for connecting the 2 IWS88. 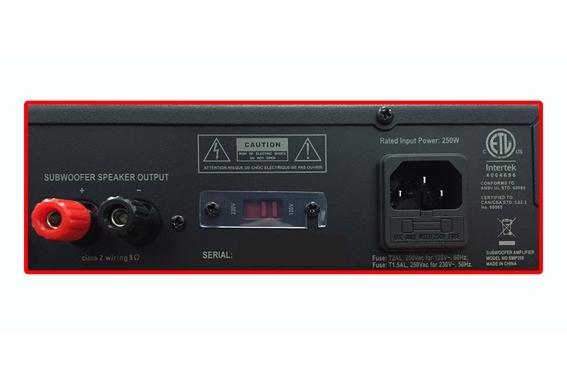 You could wire the speaker output from the SAM300 to the first IWS88 then run a wire from the inputs of the IWS88 out to the inputs of the second IWS88 (both the wire from the SAM300 and wire out to the second IWS88 would share the same input connector). Or you can home run both sets of 2 conductor wire back to your component rack and tie the two connectors to the speaker outputs (even use Banana plugs if you want). Note this might be the best especially if you add a second SAM300 to your rack. The LFE (Low Frequency Effects) allows you to control the setting s of the SUB at the Receiver (recommended for home theater). Let us know if you need anything else, tim@osdaudio.com TL/4918 There is a 30 day satisfaction guarantee on whatever you buy from us. I have the trigger switch set to Music, however, I don't think the amp is powering down when I turn my preamp off. Shouldn't the red power light go out when the unit powers down? Mine stays on all the time. We have had this amp installed for less than 2 months and it won't turn on. Any suggestions or has anyone experienced this? Could it be the power switch? I need your help to know what product is the correct for me. I have 2 passive subwoofers SONY (from Sony muteki 5.2 model HT-M5 or well SRT-KM5 home theater) in this case the model of my 2 subwoofers are SS-WP7M, they are for 4 Ohms. 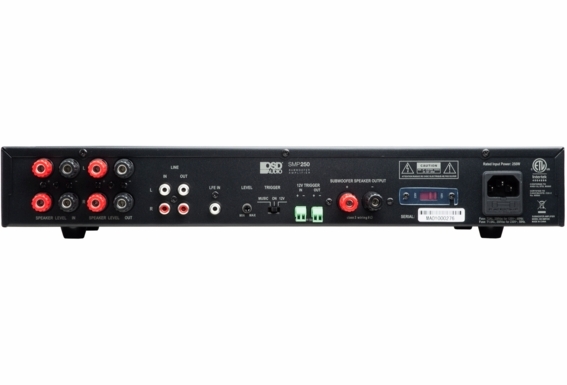 Recently I purchase a new Sony Receiver 7.2 STR-DN850 model but as this receiver only offer outputs for subwoofers by 2 RCA. I find some info for my subwoofers: Sony reports that they are to support 280 RMS in 4 ohms, 100 Hz with THD 30%, and 175 Rms in 100 Hz with best THD of 10%. 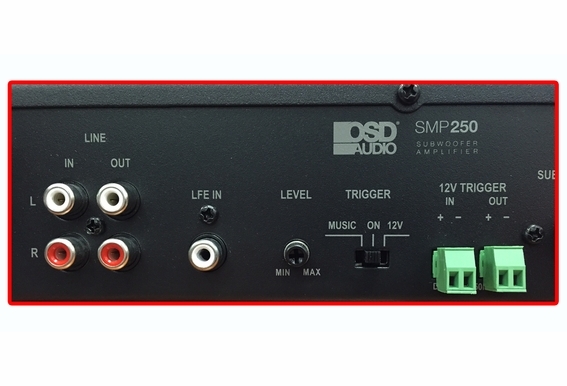 -- REALLY I DON'T KNOW if the OSD250 is my right solution to support BOTH subwoofers and offer at least 150 RMS for each one or I need 2 OSD250 amplifiers ?, I appreciate your help and suggestions about to define the right amplifier to convert them from passive to Active Subwoofers. I you have questions please let me know to can give more information...Best Regards. Can this amp run both subwoofers rated at 150W each? I have the smp250 connected to a Denon avr 4400 receiver and a osd iws88 in wall sub. I just hooked it up and when you first turn it on I get a loud pop noise and then a hum. After that the amp light turns red and never turns back on when the receiver comes on. I have installed the IWS10 woofer in my wall, powered by the SMP250. Every time I play a movie with a lot of bass or lows, I get a crackling sound , like a feed back from the woofer. At low volumes its fine, its just when I turn it up loud that I get this to happen. Any help will be appreciated. Would this amp be stable to run two 4 ohm speakers in parallel? Wouldn't that be a 2 ohm load? Thanks. Are there rack mount ears available. There are obviously threads for such, but they are not included. does this sense inactivity and turn off on its own ? Hi, On occasion, the subwoofer goes out. If I turn the amp off and back on, it comes back fine. Any idea what can can cause it to stop operating? Impedence mis match? One clue, when the sub stops operating, the direct line out on the RCA outputs operates fine. The sub I'm using is the NILES GSS10 inground sub. Thanks! Hello, how would I wire this to the Polk Audio Atrium Sub1- (https://www.polkaudio.com/atrium-sub10/d/1072C2901) which has dual voice coils at 8 ohms? Thanks! Since this amp does not have an auto off feature, do you have to manually turn it off after every use? Asked another way, will it harm the amp to be left on all the time so it is ready to go whenever the system is turned on? Thanks. I have a Yamaha 681 receiver. It has two sub outputs. I have also purchased this amp with two iws10 I am seeking the best hook up method for going from the receiver to the amp to the speakers. If you can please include as much detail regarding wires/adapters and settings as possible... Thank you for your time and input. Does this have a subsonic or HPF? what is the frequency response? My backyard system consists of 6 JBL Control Contractor Series speakers and 2 OSD in-ground speakers. I want more bottom end. I am planning to build my own weatherproof sealed sub enclosure to be mounted in an area that is already protected from the weather by the structure of the house. Because I am familiar with the product, I was thinking of using one or two Kicker Solo Baric L7's or similar (4 ohm). My wife does not let me run this system at high volumes, it is normally used for background music. I am wondering if this amp has enough power to drive a sub of this type. I notice the specs do not give power ratings for 4 or 8 ohm respectively. what are the peak and continuous outputs for 4 ohm loads? Would this work with Niles GSS10 subwoofer? Hi, i just bought a smp250 and i connect to a polk audio atrium sub10, the sound is bad, the low pass filter doesnt work... its something wrong whith the amp? i connected at 16 ohms because the atrium has 2, 8 ohms voice coils.. I have a SMP250 amp connected to two passive subwoofers, which work great. I am curious is it possible to connect the 12v trigger to my Sony STR-1050 receiver so that when I turn my receiver on, the amp comes on. Does this unit come with tabs for rack mounting? I own an NHT W1, mono sub. 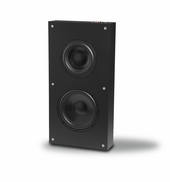 It is a single enclosure that houses two 12” drivers juxtaposed with each facing outward. It only has one set of speaker inputs on the back of it. I’m replacing the A1 NHT amplifier I purchased with it. Will the SMP250 power this sub unit? I have had this amp for a little over a year and it is very stable and gives me exactly what i need. I enclosed both my subs between my studs with 1/2 inch MDF enclosures and my bass is terrific. My only issue with this amplifier is that there is no way to power it off remotely. Is there a way that i am able to hook up some sort of RF sensor so i can shut it off with my harmony remote? 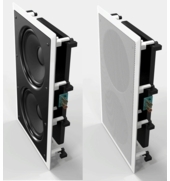 I would like to power (2) Polk Audio #AM3386-A Atrium sub 10 outdoor passive subwoofers. 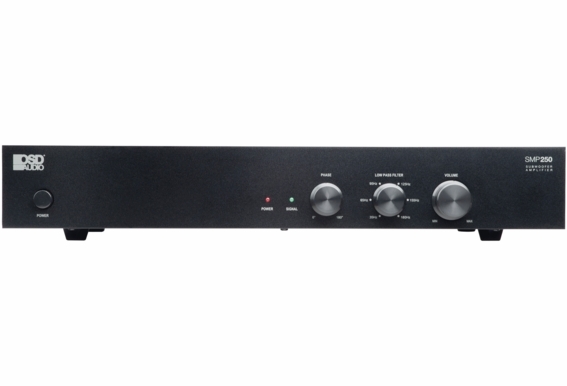 The SMP250 subwoofer amplifier will be connected to an existing Denon 7.1 home theater receiver. Do you see any issues with this combination? What is the output rating for this amp with a 4 ohm load? I assume the 180/250 is at 8 ohms. I have a 15" sub who's plate amp is dying on that is rated at 350 watts (AV123 MFW-15 amp issue). I just hope this amp will drive it nominally. I have a IWS-88 connected to the SMP-250. I have the SMP-250 connected to a Pioneer Elite SC-65 receiver. I'm getting very faint sound coming from the sub (and only at max volume setting). I have speaker wires from IWS-88 sub connected to SMP-250 "subwoofer speaker output" port. I have one end of the mono cable connected to the SMP-250 "LFE IN" port and other end connected to SC-65 "subwoofer out" port. Do I need to set the phase correctly? How about the Low Pass Filter? Can you help?